MUNICH -- Opel/Vauxhall will become a global company with a new marketing message and the gaps in its product and powertrain lineup filled, CEO Nick Reilly said in a letter to the company's 48,000 employees. Reilly urged staff to adopt a "winner" mentality as he tries to turn around the money-losing European division of General Motors Co., but warned that the automaker faces a difficult year in Europe where he expects new-car sales to fall by 1.5 million. "It is time for Opel/Vauxhall to be clear winners again and to be recognized as clear winners," Reilly said in a personal message to Opel/Vauxhall employees. Reilly will present his restructuring proposals for Opel the end of the month. His plan is expected to include the elimination of 8,300 jobs and the closure of Opel's Antwerp, Belgium, factory. Opel needs 3.3 billion euros ($4.7 billion) to finance its plan and is seeking 2.7 billion euros in financial aid from governments in countries where Opel has factories. "We don't just have to turn our operating results around in normal circumstances. We must deal with a very difficult market environment. In 2010 we expect the Western European market to be 1.5 million units lower than an already weak 2009. So, we need to move fast," Reilly wrote. He said a working group has been set up to define Opel/Vauxhall's core values and ensure that the automaker's products and advertising and "clearly come from the same home." Reilly said Opel will have more autonomy. Opel managers and labor representatives have complained that decisions affecting Opel have been taken in Detroit without fully understanding what Opel needs to compete in Europe. Opel needs a minicar like the Trixx, shown. The concept was unveiled at the 2004 Geneva auto show but never built. 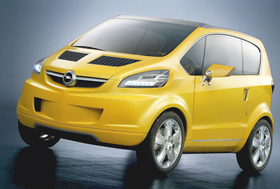 Reilly acknowledged this, saying Opel is missing a competitor in the fast-growing minicar segment and a successor for its Combo car-derived van. "We are not leading in hybrids or pure electric vehicles and our traditional powertrains have mixed performance in fuel economy, CO2 (emissions) and driveability. 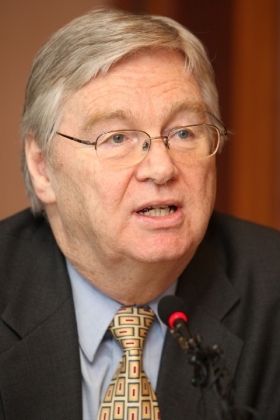 We intend to address these as quickly as we can," Reilly wrote. He also said that in some ways "the pendulum swung too far to the side of a global communality, not respecting local or regional needs and differences of customer preferences." But he said GM was not to blame for all Opel's problems. "That is only a poor excuse to avoid assuming responsibility for the difficult situation - it's a victim mentality," he wrote. "While we need the authority and autonomy to make the right decisions for Opel/Vauxhall, we also need to recognize the huge benefits we derive from being part of the GM family, Reilly said. He listed Opel's access to GM's global technology, architectures and purchasing volumes as among the benefits gained from being owned by GM. Reilly said that with the breakup of GM Europe, which formerly oversaw GM's Opel/Vauxhall, Saab and Chevrolet operations in Europe, "our face to the external world will simply be Vauxhall in the UK and Opel in the rest of the world." Opel will not hire an outside consultant to revamp its image, Reilly said, but has drawn up its own draft vision statement, which is "to be a leading European manufacturer of high quality, desirable automotive products, based on German engineering." Reilly said Opel will look for opportunities to sell its vehicles outside Europe. 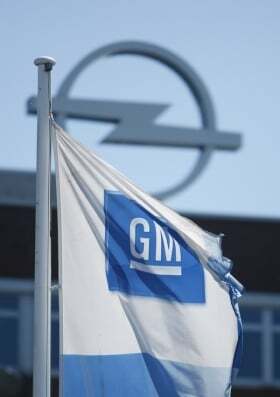 The automaker's labor unions have long urged GM to allow Opel to compete in fast-growing markets such as China and India. Said Reilly: "In the past, Opel has not been able to make money selling outside Europe and the current strong euro will not help. However, I am convinced that with the right product, a strong image in Europe, and enough money to build the business in other countries, we can and will grow our exports outside Europe profitably over time."